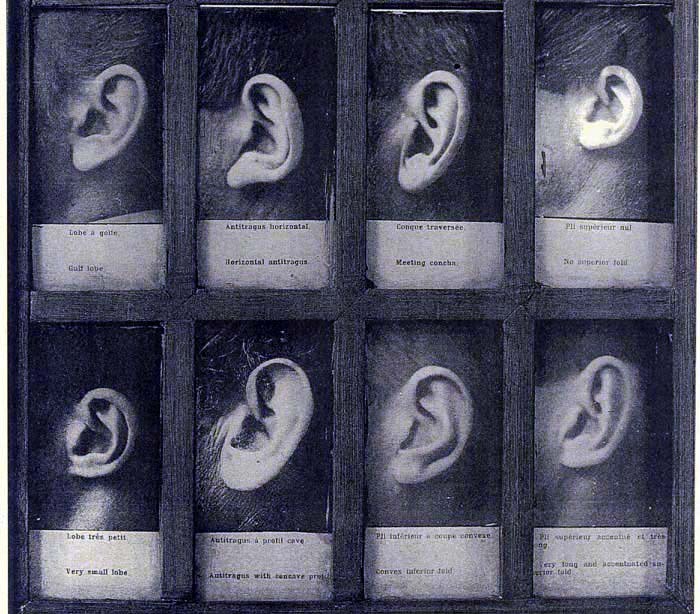 Title :Photographs of ears and of a gypsy , unknown source and date. Keywords: Lacassagne. Bertillon. Lombroso. Born Criminal. Physiognomy. Photography. Gypsies. Murder.